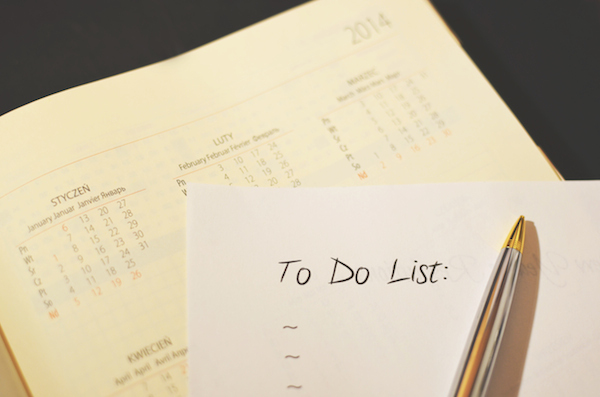 3 Reasons to Stop Relying on How-To Lists for Information (and What to Do Instead)! This is a guest contribution from Daryl Rothman. How-to lists are all the rage in the burgeoning blogging world. And many are good, but there is an absolute deluge. The list of lists is growing. Who has it right? How do you choose? What lists you should rely on? Before you loose the slings and arrows of recrimination upon me, hear me out. I didn’t say you shouldn’t read any how-to lists. There are some great ones. Read away! I am saying you need to stop relying upon them. Here’s why. We are so inundated with lists it is easy to get overwhelmed. You are busy. You have important things to do—including writing, especially writing—and you don’t have unlimited time to be navigating your way through the vast sea of offerings. Have you ever been excited about an idea and set about researching related pieces, only to find there were so many that it was impossible to know where to begin or how to prioritize? Did you feel the motivation slowly ebbing away? The ability to strategically focus—in our writing and in our research—is critical, and if you get overwhelmed it is easy to succumb to exasperation and become paralyzed into inaction. “Expert” advice may not in fact be just that. Again, a caveat: questioning one’s expertise is not to suggest they are unmeriting of admiration and respect. But you must be judicious, and proceed with a healthy dose of skepticism. What are this writer’s credentials? Has she presented certain things as fact which are, in fact, opinion? Are there other perspectives she’s neglected? “Expert” advice can be that shimmering mirage in the desert, but danger lurks just beneath: in our anxious quest to be enlightened, to find that quick fix, the holy grail of literary wisdom, we all too often sublimate and diminish our own power and expertise. Be wary of “gurus,” particularly self-appointed ones. Look past the accolades and glitz and learn to be persuaded by—well, persuasion. Most lists are by their nature prescriptive and one-size fits all. And, inevitably, too good to be true. Diamonds are formed about 100 miles beneath the earth’s mantle, and even after they finally breach the surface only a little bit shows—we have to dig to get at the rest. So too with your best literary gems. Lists are inherently dismissive of the myriad and often subtle dynamics and variables unique to each writer. The gurus know we’re busy, and not only crave answers, but prefer them in bite-sized morsels which are easily digestible and immediately applicable. You are jolted with a surge of motivation, and it may even last for a few days, sometimes longer. But then what? Unless the list happened to be the best way lists can motivate you eternally, the magic ultimately begins to fade. And no wonder– little in life is that simple or easy—nothing meaningful or enduring, anyway. Your writing, I hope we agree, is meaningful. And we want it to endure. Well, I would be negating every point I’ve just raised above if I tell you precisely what. But I do have some suggestions which have been helpful to me and which I believe —if you contemplate and tailor them within the context of your unique goals and experiences—will be useful for you too. Determine why you may rely upon lists. Are you short on time? Out of ideas? Struggling to get organized and get started? These are common challenges and it is normal to seek easy answers. As I’ve said all along, there are good resources out there, including some terrific lists, but once you understand the reasons behind your reliance, you will be better able to address them in more enduring ways. Seek information which focuses on you, which helps you find your own voice. This WTD article, while admittedly a list, does just that. It is a great example of deferring to your own wisdom, which is in the end, the best kind of advice. There is nothing wrong with reading and enjoying opinion pieces, but if you are reading something with an expectation of expertise and actionable information, you must be judicious. Take a moment to read the author bio and credentials, and evaluate critically that which is being presented. Learn how to build your own cadre of reliable information. Or, as I sometimes call it, “getting your nerd on”. I do it (it’s really not a big leap for me), and it can be emboldening and fun. Rather than seeking that Holy Grail which contains all the answers for which you’ve thirsted, recognize that “truth” is not conferred upon us through the waving of that wand, and that a good deal of effort is required. We are lifelong learners, and truth is never quite ours, but we move closest to it when we recognize it is a matter of the journey itself, which can sometimes be a bit of a grind. Writing, reading, networking, researching. But there is a fair bit of magic and community along the way. Keep notes as you go. Seek and consider a diversity of ideas and approaches. Commune with other literary spirits. Consider the challenges for which you seek counsel and jot down how you would answer if someone else queried these things of you. I’ll bet you have some pretty good thoughts. A simple reminder that the best and most enduring ideas reside within you. You are an expert in your own right. Embracing that, and sharing it with others, can be very rewarding. So what do you think? Have I just committed anti-list sacrilege? Please comment and list a few thoughts. Daryl Rothman’s debut novel is being published by Booktrope in 2015. He has written for a variety of esteemed publications and his short story “Devil and the Blue Ghosts” won Honorable Mention for Glimmer Train’s prestigious New Writer’s Award Contest. Daryl is on Twitter, Linked In and Google + and he’d love you to drop in for a visit at his website. Daryl is not sure why he is speaking of himself in 3rd-person. And, like George, he likes his chicken spicy.